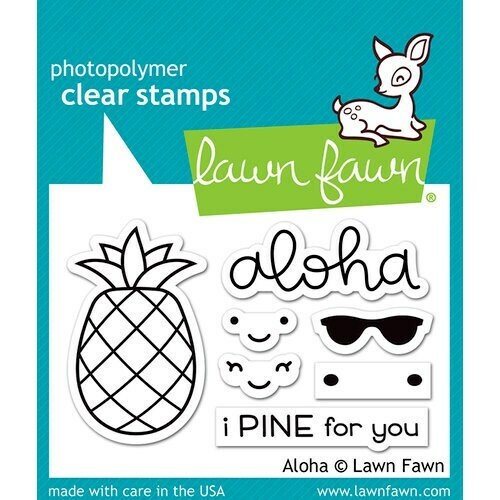 Capture your trip to paradise with the Aloha Clear Acrylic Stamp Set by Lawn Fawn. This set includes 7 photopolymer stamps that range in size from .5" x .375" to 1" x 1.75". This set coordinates with the Aloha Lawn Cuts Die Set lf-lf1418 and can be used with an acrylic block and your favorite mediums all sold separately. Made in the USA.